Or maybe you’re too busy fretting over the perfect gift to get the silent film lover in your life? We’re a stubborn bunch to please, and there are few things worse than finding out on Christmas morning that you got the WRONG blu-ray release of Nosferatu for your beloved. Or worse still that you got them the Werner Herzog sound-remake by accident! 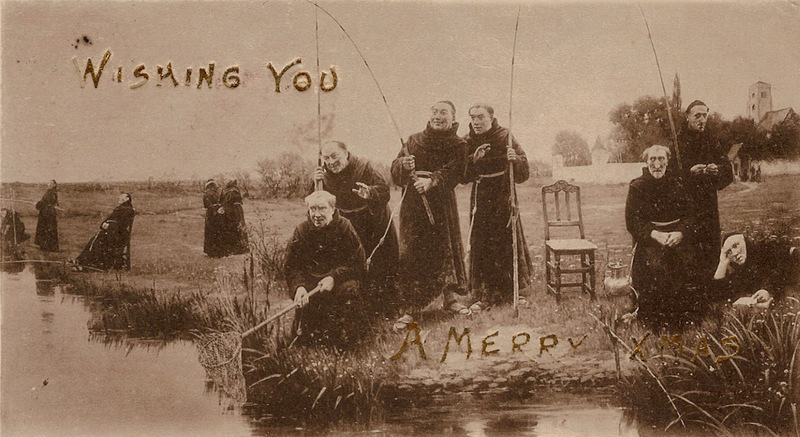 Care must therefore be taken when picking and choosing for the odd-fellow that prefers a mute picture above all else, so casting around among our team we thought it advisable to put together a wish list of our favourite silent-film themed gifts! No Chaplin themed socks or Buster Keaton fridge magnets here, no Sir! Only the finest books/DVDs/other-things of the year make our cut, we hope you find something to cure those Christmas shopping woes! I couldn’t quite believe my eyes when a friend posted a link to this calendar on my Facebook page. It went on my Christmas list within seconds! 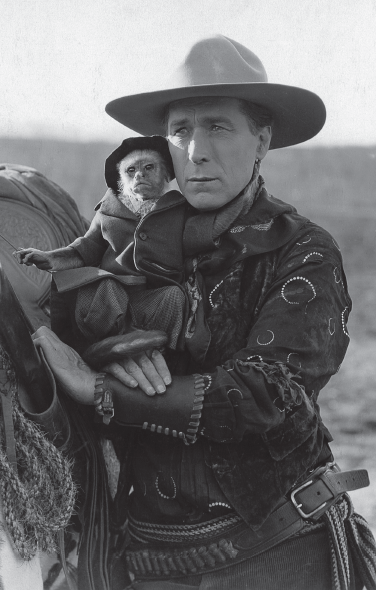 With some of the most stunning images from silent Westerns, proving that the genre was at its best before sound and the golden age had even arrived. With really nicely designed and highly detailed calendar pages, the proceeds of this calendar are going to silent film preservation, what silent film lover wouldn’t want it? I highly recommend sticking this on your Christmas list, OR giving as a gift to any silent film lover. The calendar comes out annually, so this solves the “what present to buy” for many years to come! Having been in print for less than a year, James Leyton and David Pierce’s book has already become a staple “must have” for any archive and silent film fan and historian. Even Kevin Brownlow has a copy, which says it all! 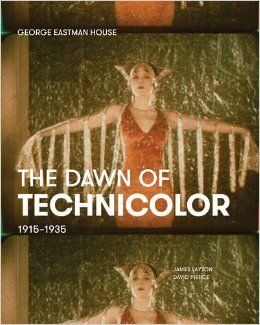 The book is a detailed but accessible illustrated history of the first twenty years of Technicolor. Encompassing everything from the technical aspects of the cameras and film itself, to the creative side of costume and lighting, it’s a brilliant read (as I mention in my review for Silent London!). But it also serves as a brilliant reference book, and is a real visual feast of American film history. Even if the silent film lover never gets around to reading the whole thing (it is big!) they will undoubtedly get hours of pleasure out of just flicking through the images and reading bits here and there. Almost 10 years ago William Wellman Jr. published The Man and His Wings: William A. Wellman and the Making of the First Best Picture, a fascinating book which not only delved into the making of Wings (1927) and its director William Wellman Sr. but also told the story of his time on the Western Front as a fighter pilot in the First World War. 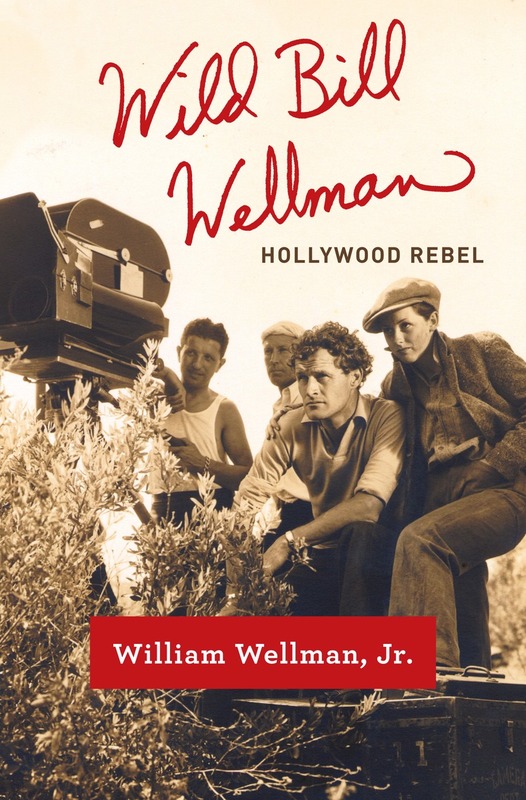 Wild Bill Wellman: Hollywood Rebel builds on Wellman Jr’s past research and gives a very thorough personal look through the life and work of his father. I have to confess: I haven’t finished this book yet! 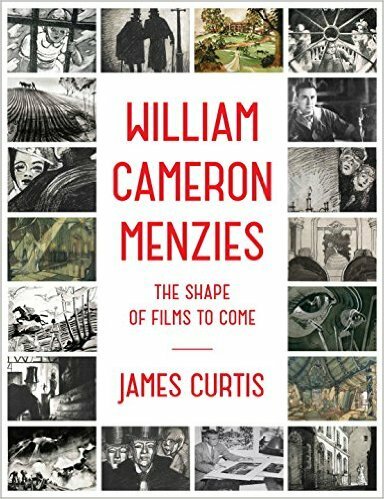 In fact I am only two chapters into James Curtis’ fantastic biography on the life and work of American production designer William Cameron Menzies. This book arrived on my desk after a recommendation by Andrew Kelly and I was thrilled that he flagged it to me. The book is wonderfully produced, thoroughly researched and superbly illustrated throughout with very rare behind the scene photographs from his many productions as well as (and this this was the big selling point) some incredibly detailed colour sketches from Menzies’ private family collection. So you get to see the sketches he put together for Fairbanks’ The Thief of Baghdad (1924), The Iron Mask (1929), The Taming of the Shrew (1929) and William K. Howard’s A Ship Comes In (1928) to name but a few silent titles. The book continues into his work on Gone with the Wind (1939), The Thief of Bagdad (1940), Invaders from Mars (1953) and his directing debut, the British Sci-Fi film, Things to Come (1936). Curtis’ highly engaging and eye opening book is everything a film buff, let alone a silent film buff, would want to have on their book shelf. I highly, I repeat, highly recommend this! I first reviewed this title within the first few days of 2015 and I had to say I loved the film and the Blu-ray/DVD set. Over a year of hits and misses in the silent film DVD department, I have consistently gone back to this BFI release and thought what a great and exciting package it was. A brilliant presentation and a thoroughly produced set with some really great extras; to find out more why I love this release, it is worth going back to my original post, now archived on the new SWS website. 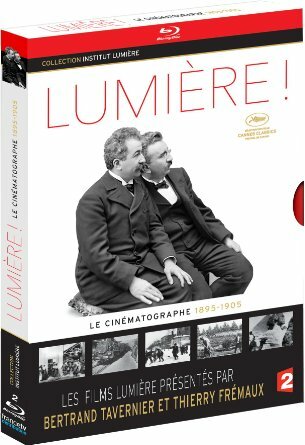 A lot has been written on the Lumière Brothers, and the indelible mark they have left on the popular birth of cinema as we know it today. This is well covered ground, and so there is a real pleasure in reading a brilliant bit of writing from Luke McKernan on the impact of the French filmmakers. The occasion for this refection was the release of a new French DVD/Blu-ray which includes a whopping 114 of the 1,422 Lumière films produced between 1895 and 1905, unprecedented compared to any previous VHS or DVD on the brother’s work. This is a brilliant chance to revisit the earliest of films and to realise that early cinema was far more than trains arriving at stations. As the Lumière stretched across the globe bringing cinema to new audiences, so too they documented the countries they encountered, opening a new window onto the world. I can’t understand why “An extensive and superb catalogue of globalisation’s visual point of rupture” isn’t on everybody’s Christmas wishlist, but this boxset has got it covered. 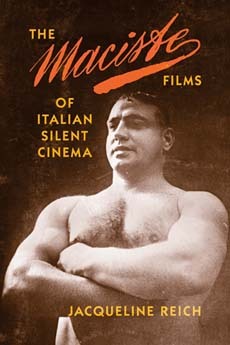 H aving been introduced to the bonkers Italian and original action-hero Maciste at a club screening earlier this year, I was very excited to hear the scholar Jacqueline Reich give a presentation on him at the University of Bristol in Novemeber. She spoke about her recently released volume dedicated to Bartolomeo Pagano (as he was known to his dear Mamma) and the history of this almost forgotten screen celebrity. A champion of Italy, a hero for immigrants in New York, and a man who bore a worrying resemblance to Il Duce, Maciste loves nothing more than eating, drinking, and knocking fifteen shades of shandy out of Germans. A fascinating figure for many reasons, this is a most welcome volume on this most ludicrous silent star. There is no reason why a film fan shouldn’t be a subscriber to the world’s best film magazine. There is even more reason now if you are a silent film fan as the magazine now has a dedicated monthly column to the subject. Sight & Sound also regularly includes articles and reviews of newly released silent film related books, Blu-ray and DVDs. 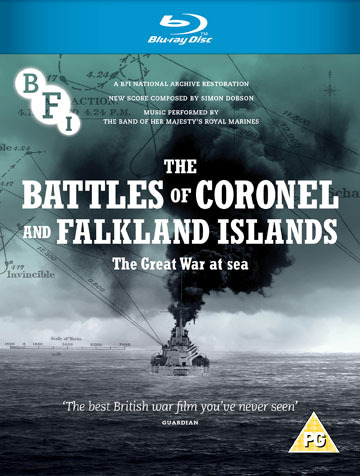 On top of all of this, for an extra few pounds you can get the entire back catalogue of Sight & Sound (established in 1932) as well as The Monthly Film Bulletin (1932-1991) a vast library of film knowledge and a brilliant idea for a Christmas present. Have you got a Christmas wish list suggestion? We’d love to hear want your hoping to get for Christmas, let us know what you’re after in the comments below, or on Twitter!